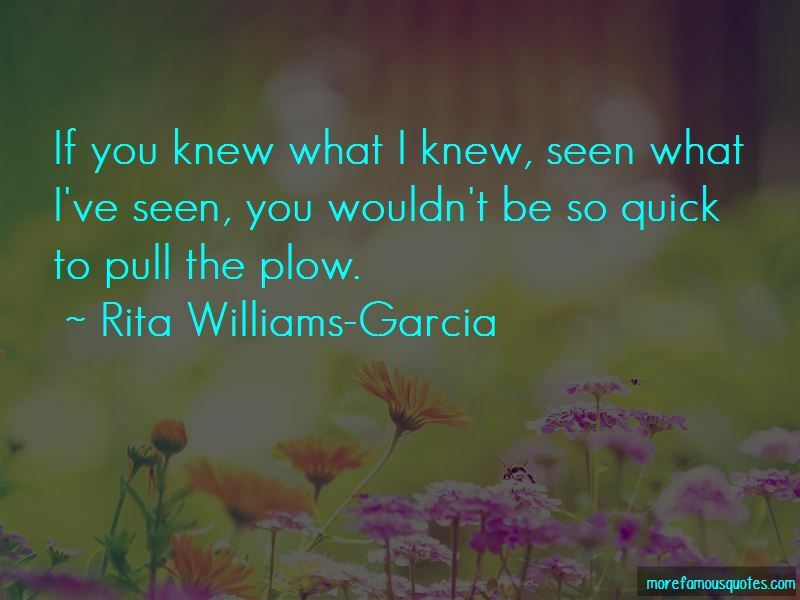 Enjoy the top 13 famous quotes, sayings and quotations by Rita Williams-Garcia. We all have our la-la-la song. The thing we do when the world isn't singing a nice tune to us. 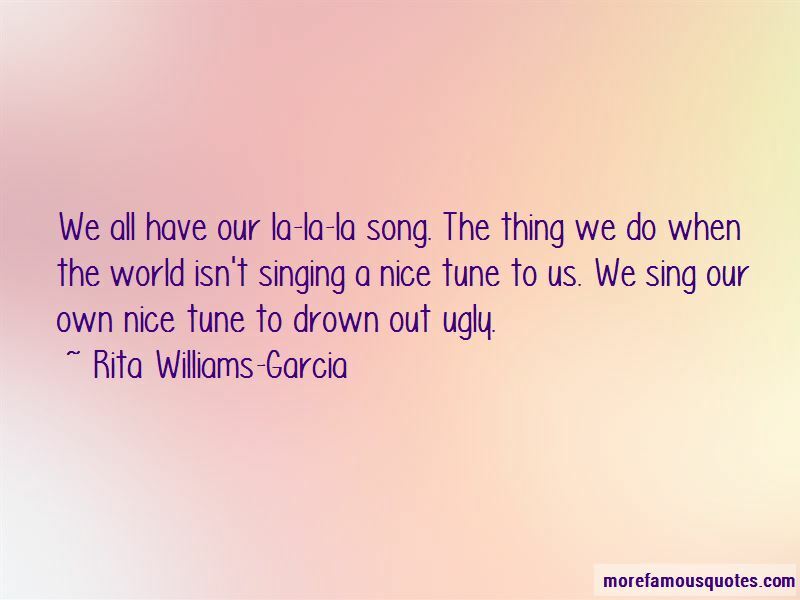 We sing our own nice tune to drown out ugly. When you are older I want you to find Chinua Achebe. I want you to read Things Fall Apart. Don't be hardheaded and try to read this book now. Don't be hardheaded, Delphine. You are the smart one, but you are not ready. You can read all its words. Even the African words. But you will not know what Achebe is saying. It is a bad thing to bite into a hard fruit with little teeth. You will say bad things about the fruit when the problem is your teeth. I want you to read this book. I want you to know Things Fall Apart. Fourteen is a good age to find Chinua Achebe. Today we're going to be like the earth, spinning around and affecting many. Cecile made it sound like it was no big deal. "I've been fighting for freedom all my life." But she wasn't talking about protest signs, standing up to the Man, and knowing your rights. She was talking about her life. Just her. Not the people. 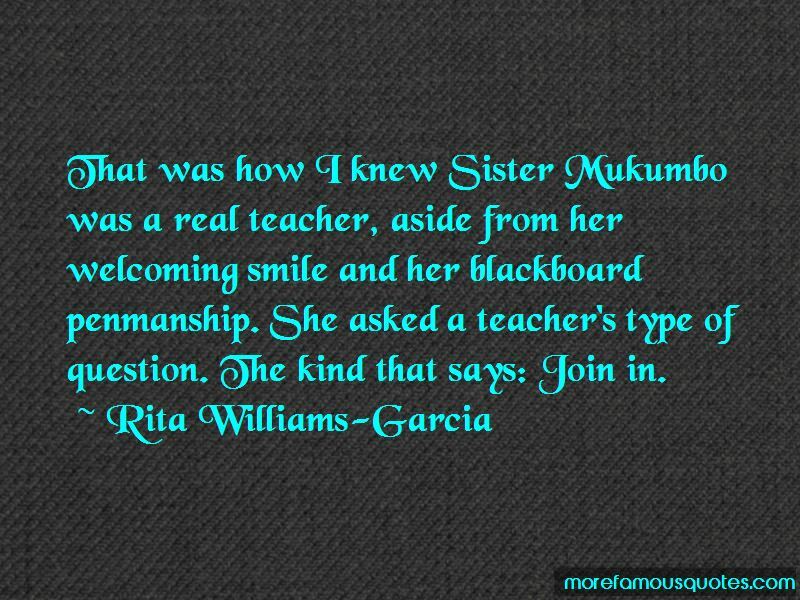 That was how I knew Sister Mukumbo was a real teacher, aside from her welcoming smile and her blackboard penmanship. She asked a teacher's type of question. The kind that says: Join in. Want to see more pictures of Rita Williams-Garcia quotes? Click on image of Rita Williams-Garcia quotes to view full size.